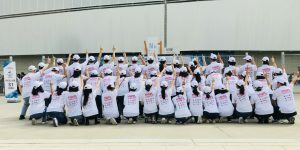 HWPL Supporters ONE: WE ARE ONE! WE ARE ONE! 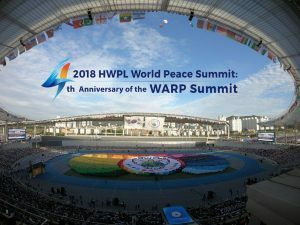 The ‘2018 HWPL World Peace Summit: 4th Anniversary of the WARP Summit’ was held on September 17th to the 19th. In particular, so many HWPL volunteers came together with an earnest desire for peace. HWPL Supporters ONE started an online promotion service from September 1, 2018 in order to make the peace activities of HWPL and other news of peace widely known around the world. ‘The past does not need to be the future. A new world can begin today. It is the last chance for the peace of humanity.’ These sentences come from promotional video of ‘2018 HWPL World Peace Summit: 4th Anniversary of the WARP Summit‘. This video shows very well what kind of mindset when they are dealing with world peace. They think that achieving peace is ‘Out Duty that we have to do’ of our time at any cost. Can you feel their determination? Thousands of leaders and citizens from around the globe will gather for 3 days in Republic of Korea with the great determination of creating a peaceful world together. Now you can watch it! Multilingual Youtube Live! What made you interested in the peace activities of HWPL? 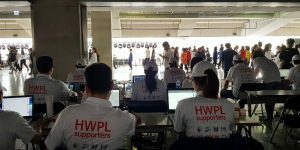 How did you become a part of the HWPL Supporters One? What would you like to say to those who want to join the Supporters ONE? He said “I don’t think peace is a story that is far away from us. If you look at the news on the internet, there should be no more news of war and terrorism that is occurring around the world. Unless peace is achieved, we, our children, and even our future generations, cannot escape from the threat of war and violence. I have read his interview many times. His words and writings really seem to love peace. I felt like I should try harder.